Singer, producer, pianist and top vocal instructor, Jeffrey Skouson trains some 150 students from all over the world. Most students study at his studio in Las Vegas, while long-distance students (based in Asia, South America, New York, Australia, and England, to name a few) take lessons by Skype or other Internet applications. 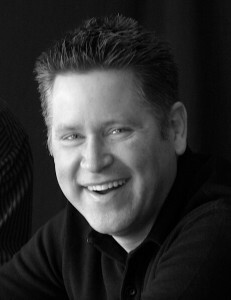 With extensive experience as both a performer and educator, Jeffrey is a uniquely qualified and effective teacher. Jeffrey’s abilities as a vocal teacher have expanded to many professionals throughout the music world, including bands such as The Killers, Imagine Dragons, Panic at the Disco, and over 30 Broadway Stars. Notwithstanding his success on stage, Jeffrey’s true calling is that of a teacher. After receiving a bachelor’s degree in International Studies and a graduate degree in Education, he taught fifth grade in the Clark County School District before opening his vocal studio. Over 30 years of study and training have made Jeffrey an expert in the field of vocal function, structure and development. As such, he frequently guest lectures at universities, colleges and vocal seminars throughout the world. Such engagements have taken place at the San Francisco Conservatory of Music, Ball State University in Indiana, and Brigham Young University. Jeffrey’s many years studying with Seth Riggs and teaching the SLS technique had garnered him the distinction of Level 5 certification. He was also a Master Teacher (MT) of SLS‐ one of only seven such individuals in the world. As an MT he was responsible for the training and evaluation of teachers throughout the world. In this capacity, he traveled all over the world where he taught both private lessons and master classes. You can also find Jeffrey in the recording studio producing projects for vocal stars around the world. He is a master at this craft and is highly sought after in this capacity. As much as he has enjoyed his many professional opportunities and accomplishments, Jeffrey’s greatest love and source of satisfaction continues to be his wonderful family. He and his beautiful and patient wife Becky have four fantastic children: Elizabeth, Madeleine, Andrew and Joshua.